Welcome to 30-Minute Marketer — a resource from MarketingSherpa featuring bite-sized tips for busy marketers. 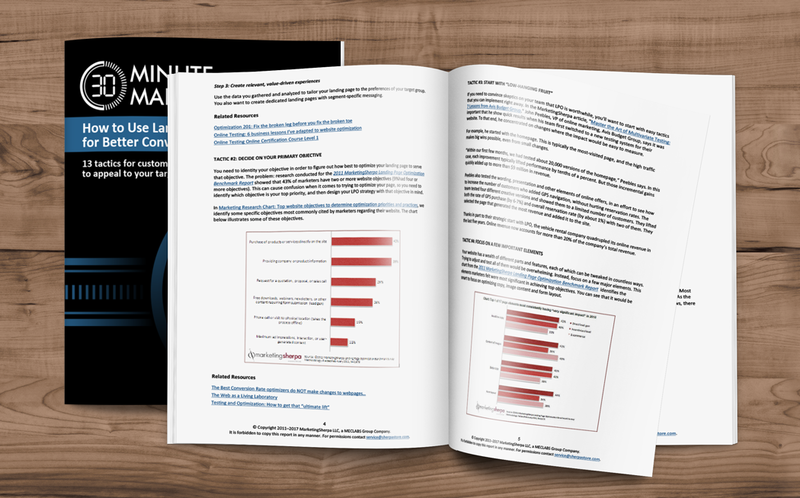 In this report, we focus on landing page optimization (LPO) tactics that can lead to improved conversion rates. We can't emphasize just how big of a difference optimization can make in the results you see from your landing page. Boris Grinkot, Associate Director of Product Development, MarketingSherpa, says double or triple digit conversion improvements aren't uncommon if LPO is used effectively. By using LPO strategies, you are tailoring your page's content, messaging and mood, with your specific visitors in mind. By studying your analytics and conducting careful testing, you can customize a page for the best possible results, both in conversion rates and other important metrics. 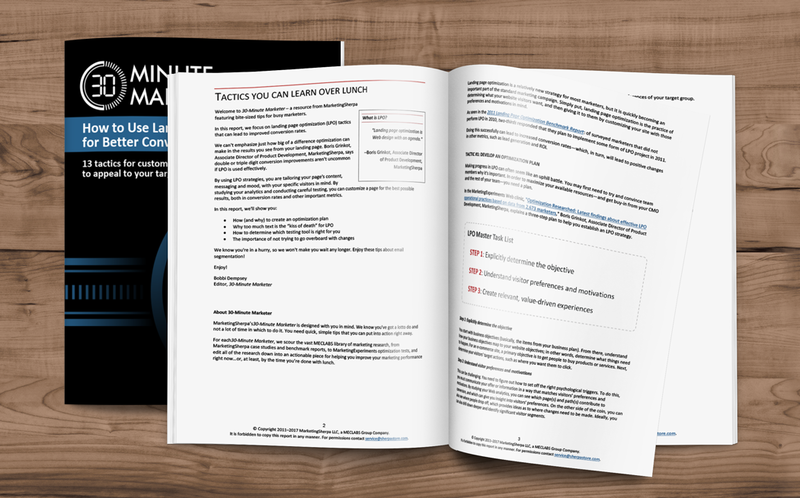 To get the 30-Minute Marketer for Landing Page Optimization, simply fill out the form below and we’ll send you an email with a link to instantly download your copy.